Close to the border of Myanmar, Sangkhlaburi is a small town in the province of Kanchanaburi located about five hours north-west of Bangkok. 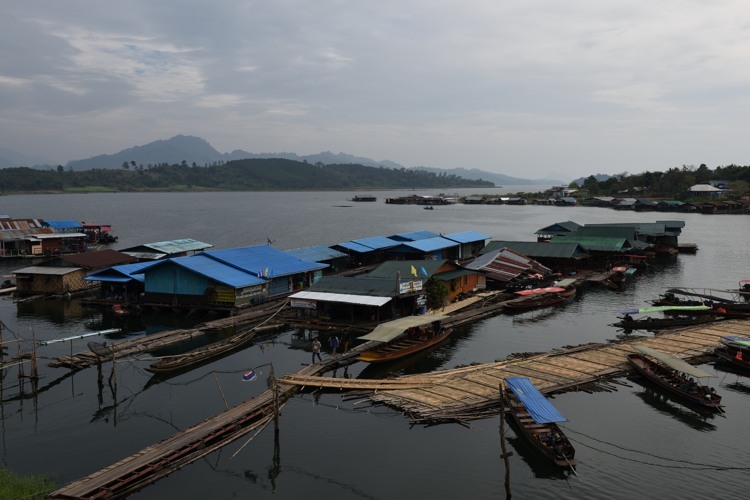 These floating houses are situated near the wooden Mon Bridge, the largest structure of its kind in Thailand. This item has been added to your cart. Please go to the shopping cart page to complete your purchase.